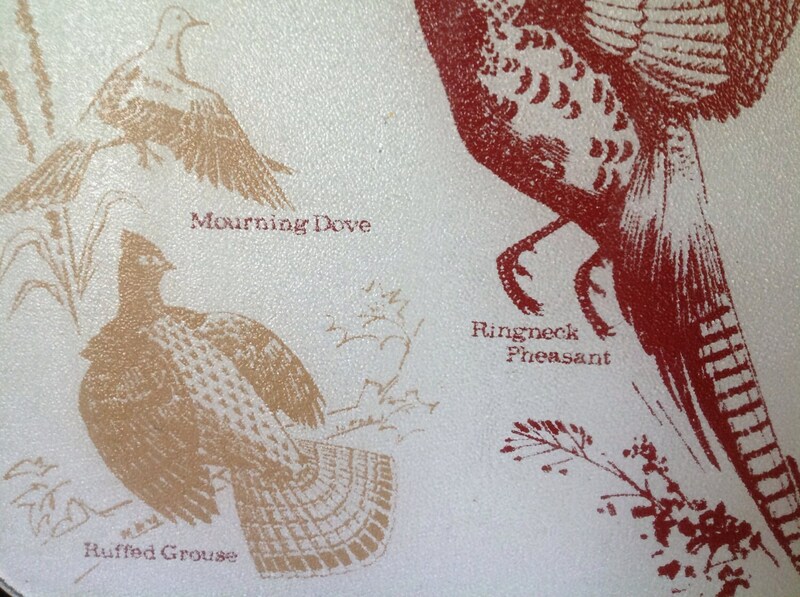 wild hunted game birds vintage l974 large glass reverse paint textured cutting preparation board/tray barware Vance Inc.
A hunter's dream! 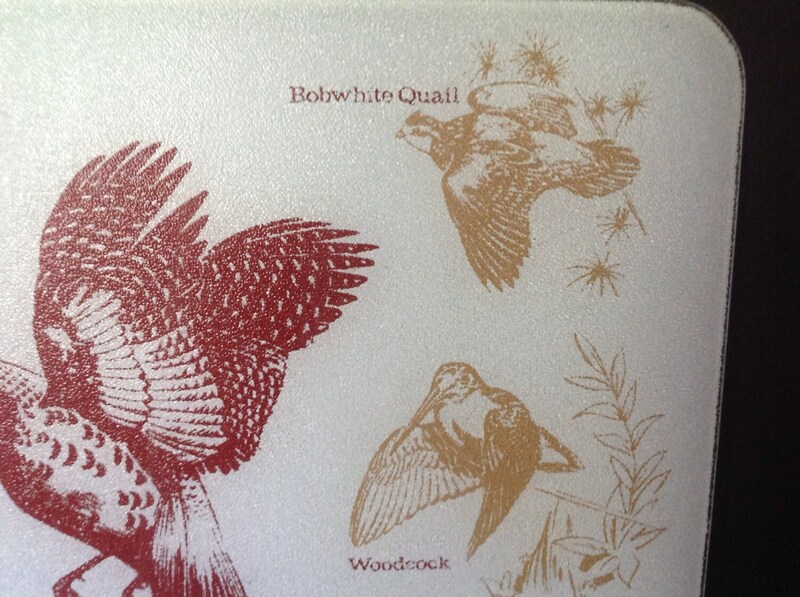 Perfect complement to your wild game bird motif glasses (which I also have listed) or a hunter's rustic themed bar. Slice your limes in style! 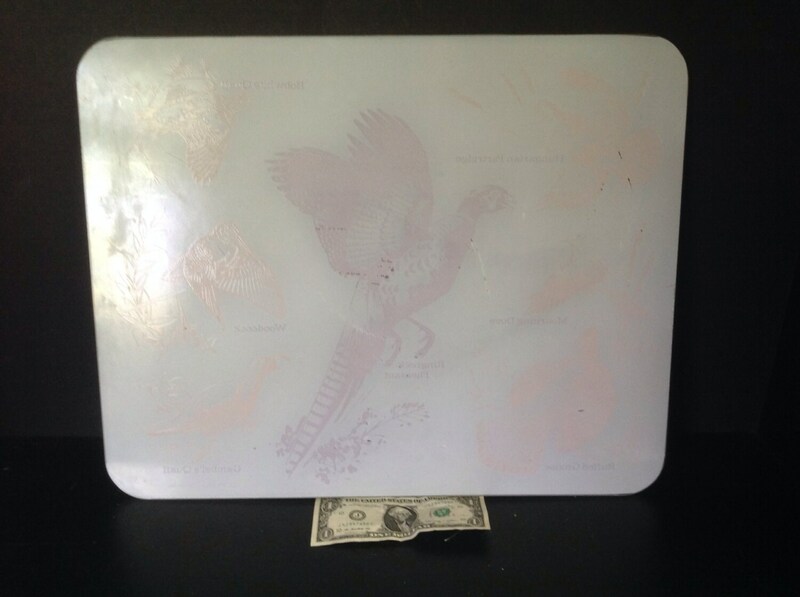 This large glass cutting preparation board has a great textural feel. The design is painted in reverse (on the back) giving it a really cool look. 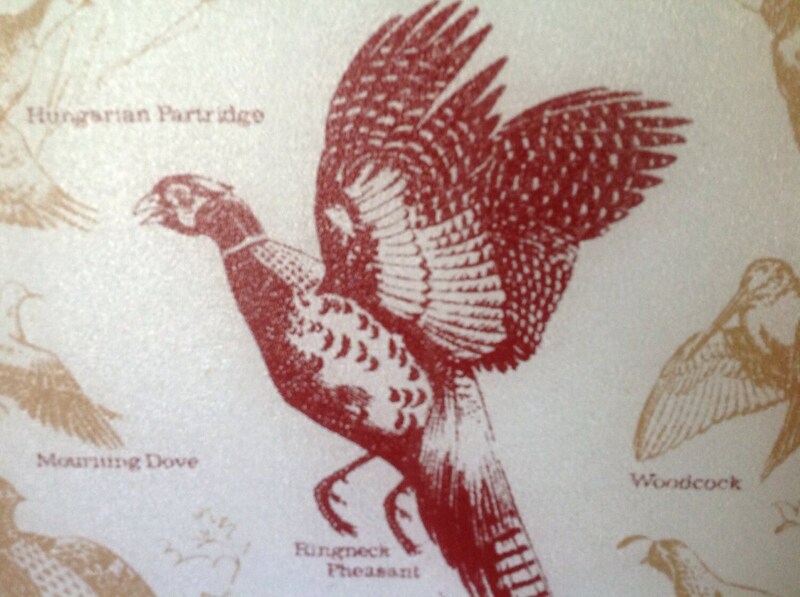 It includes a white background and features a red large Ring-neck pheasant. 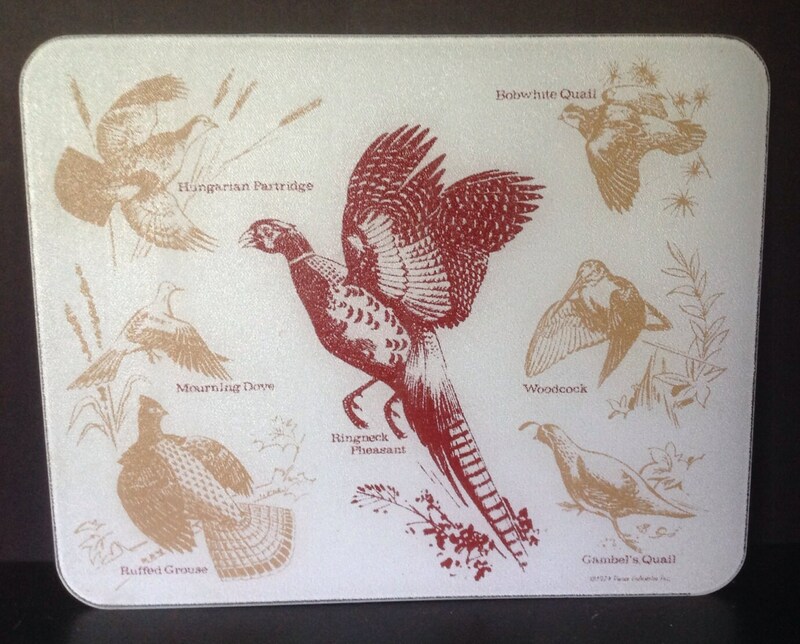 Other gold birds include: Hungarian Partridge, Mourning Dove, Ruffled Grouse, Gambel's quail, Woodcock and Bobwhite Quail. Each one is labeled. It has a mid-century feel. This is a large heavy substantial slab of glass. There is light scratching on the back but it does not show up in the least on the front. I realize the Shipping quote seems quite high, but I am attempting to cover the entire country. I always reimburse my customers for shipping overages they over $1.00 they may have paid at purchase.